Seems the best course of action when you’ve just printed out some two hundred and thirty double sided A4 pages of manuscript is to just read through them. Sure, you can make a few brief red pen notes here and there, but really you just want to zip through it like a reader might, getting a feel for flow, plot consistency, etc. I can’t put the damn pen down. I just can’t. I’ve spent all evening to get through the first hundred pages, because I’m editing with a comb that started out like splayed fingers, but is now so fine-toothed that light itself couldn’t escape. Tomorrow I’m going to allow myself ONE comment per page. Try to wean myself off the red pen madness. Do you ever struggle to just READ your own stuff? In other news, baby clothes are tiny and awesome. Who knew? This entry was posted in Writing and tagged baby clothes, editing, fiction, manuscript, Reading, Writing. Bookmark the permalink. I love the Supergirl onesie, especially the utility belt with the pacifier hanging from the loop! I struggle to read something I wrote longer than a few months ago. It always makes me cringe. That fanfic novel I was working on for five years, so the first half is horrible. Since I can’t publish it I guess it’s just amusing, but yeah, I’m always shocked at how bad I was XD It’s fun to reread every now and then to see how far I’ve come. I think it would be more worrisome if you read through your rough draft and thought the whole thing was awesome, lol. 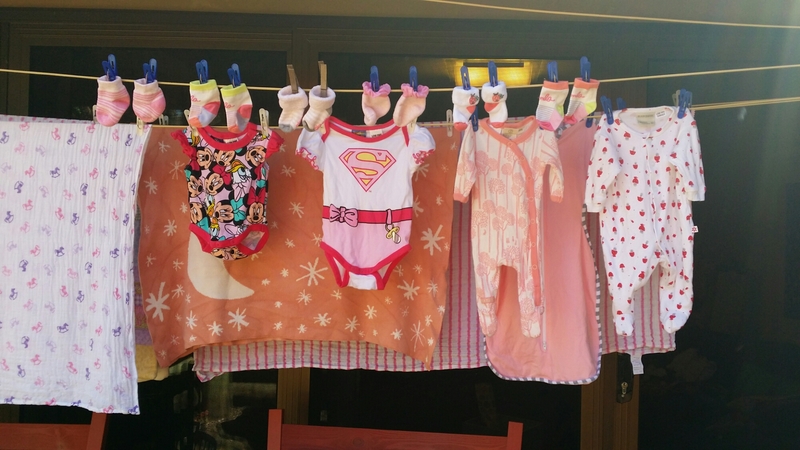 Yes, baby clothes are adorable :3 Especially the little girl ones! Good to know I’m not alone in this. 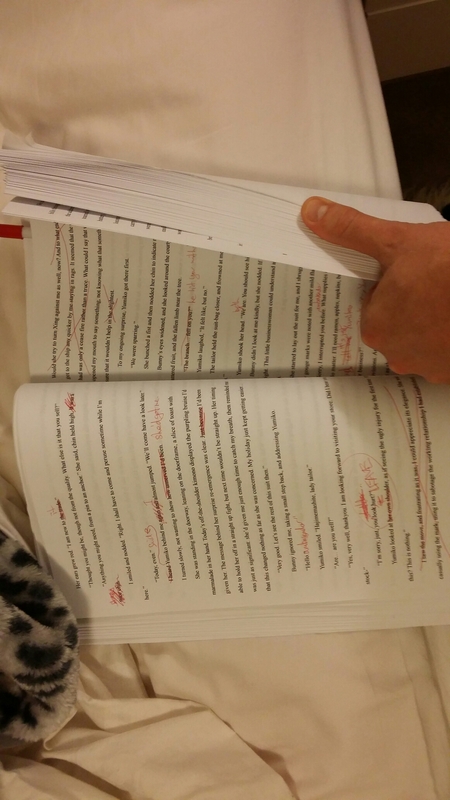 I marked up my manuscript so much there was more red/orange ink than black print. I wound up scrapping that one, but am determined not to do that to the one I’m working on now.